Liberal Jews have taken turns over the past few weeks whacking at the Emergency Committee for Israel’s advertisement alleging anti-Semitism at the Occupy Wall Street protests. Eliot Spitzer called the ad “despicable” on Slate; Richard Cohen called it “reprehensible” in his Washington Post column; and J Street said it “slandered” Occupy Wall Street. 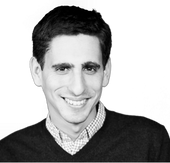 This story "J Street Staffer Circulates Slam of ECI" was written by Josh Nathan-Kazis. Signatories included former New York City Public Advocate Mark Green, J Street’s Jeremy Ben-Ami, Spitzer, and former SEIU president Andy Stern, among others. But the organizational provenance of the release was unclear. No group’s name appeared in the header, and the email containing the release came from a generic Gmail account. The statement adopts the pose that ECI is somehow unfamiliar to the drafters, referring to it as “something called the Emergency Committee for Israel.” But that posture stretches credulity, as the release was circulated by a top J Street staffer. Carrine Luck, J Street’s Vice President of Grassroots and Field Programs, emailed the release and was listed on it as a press contact. But her affiliation was not noted. But this attack on ECI orchestrated by a J Street spokesman ran without J Street’s name on the top. To be fair, J Street chief Ben-Ami was among one of the signatories.